Weight: 350 grams, shipping calculated at checkout (more details). 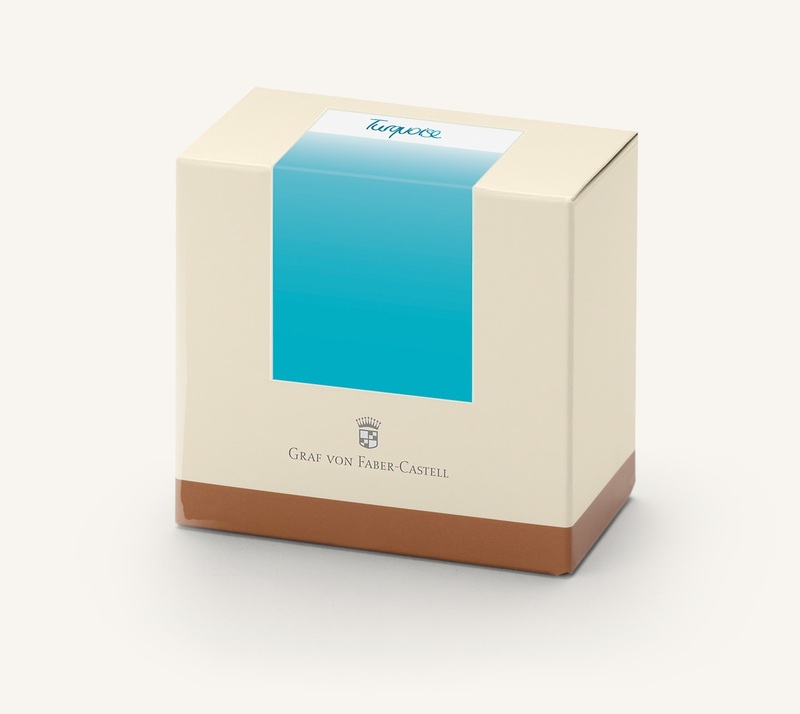 Turquoise is the newest addition to the Graf von Faber-Castell family of inks. It is a bright but not quite saturated aquamarine color. 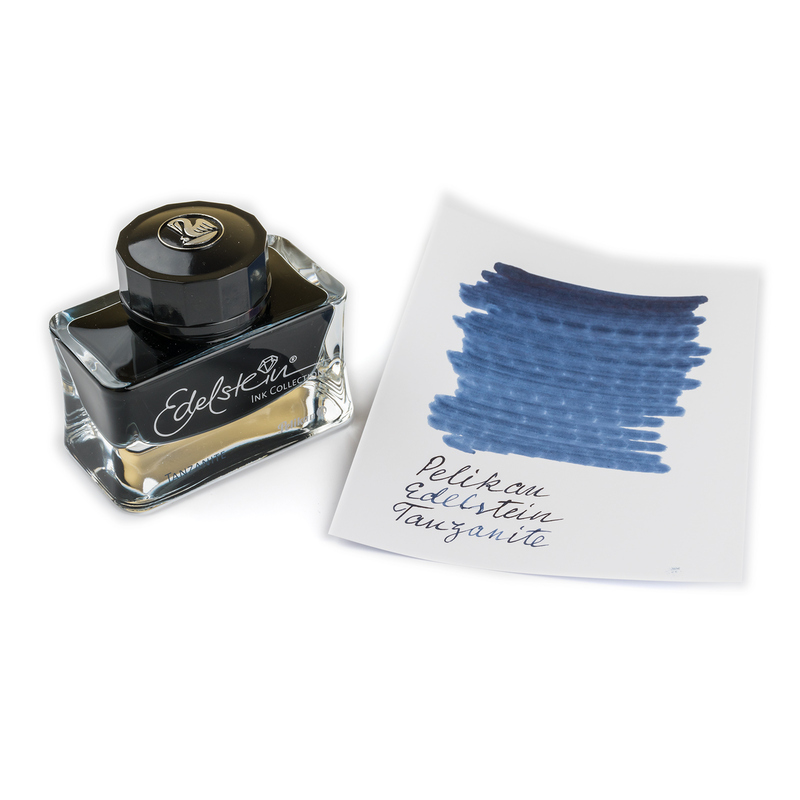 Closer to the true aquamarine rather than to the generic light-blue of some other turquoise inks. 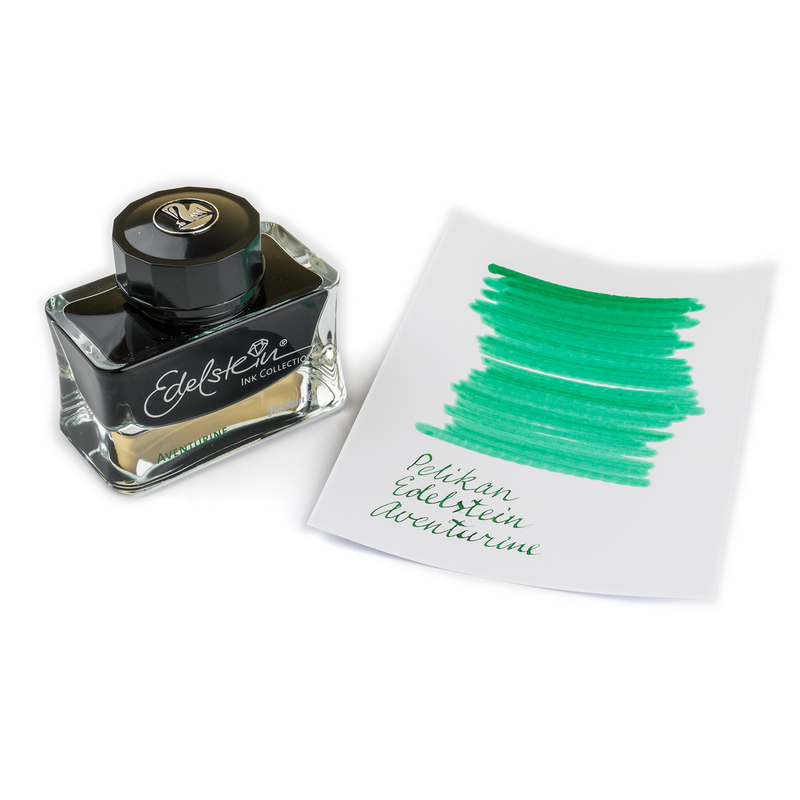 Graf von Faber-Castell Turquoise is suitable for all fountain pens. It has a good flow and can be cleaned out of the pen easily. 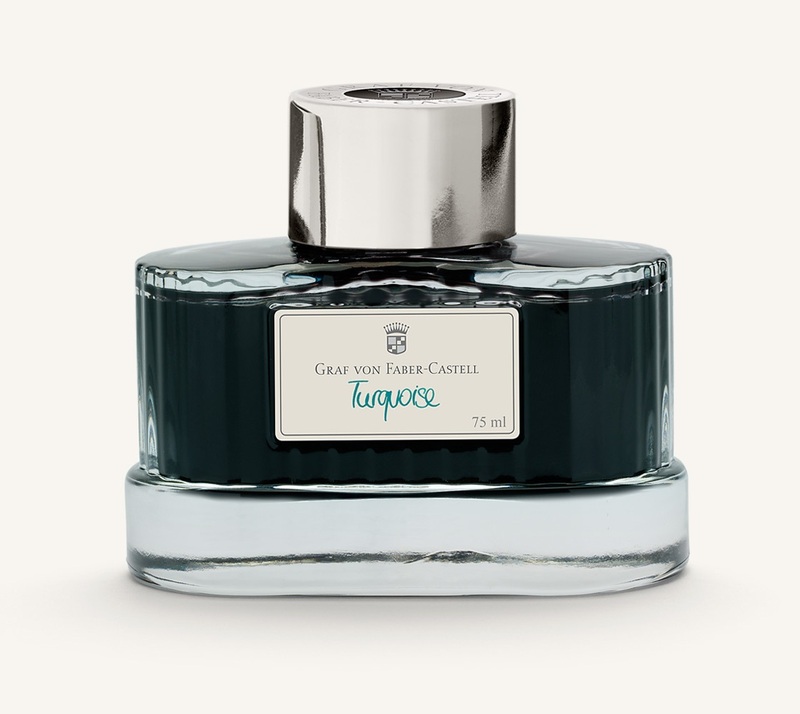 Bottled Graf von Faber-Castell inks come in the heavy glass bottles. The wide flat bottom makes them less likely to be tipped over. 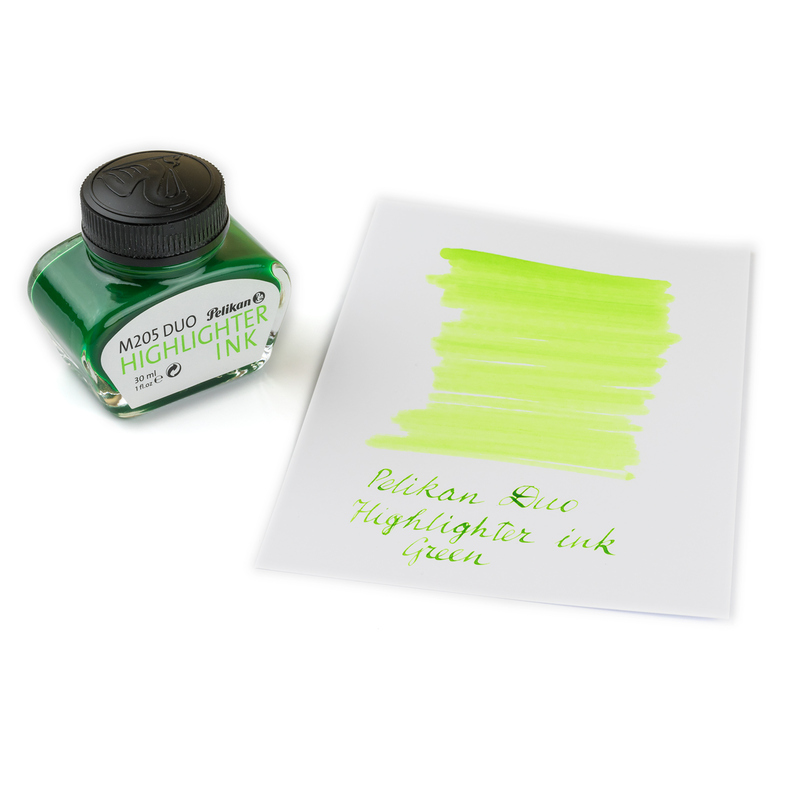 Each bottle contains 75ml of ink.